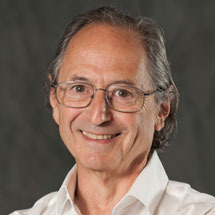 Michael Levitt will give the Kendrew Lecture 2014 on Tuesday 25th March at 16.15pm in the LMB’s Max Perutz Lecture Theatre. The title of the lecture is ‘Birth & future of multi-scale modelling of macromolecules’. This event is open to anyone in the local area who is interested in attending. Michael pioneered computational biology, setting up the conceptual and theoretical framework for a field that he is still involved in. His research covers many aspects of computational structural biology including: protein and RNA structure prediction, protein dynamics, approaches to coarse graining, development of potential energy functions and methods for crystal structure refinement, lattice models of protein structure, small ligand docking, protein-protein docking, water structure and the hydrophobic effect, and more. Michael came to the LMB as a PhD student in 1968 having previously been a visitor at the Weizmann Institute in Israel. He returned to the Weizmann Institute after completing his PhD where he worked with Arieh Warshel. In 1974 he returned to the LMB, as a member of the scientific staff, and was joined again by Arieh who was a visitor from 1974-1975. Michael spent a two-year period as a visiting scientist with Francis Crick at the Salk Institute before returning to the Weizmann Institute in 1979. Since 1987 Michael has been Professor of Structural Biology at Stanford University School of Medicine. He is a member of the American Academy of Arts and Sciences, the National Academy of Sciences and is a Fellow of the Royal Society. He was jointly awarded the 2013 Nobel prize for chemistry, for the development of multiscale models for complex chemical systems. The development of multiscale models for complex chemical systems began in 1975 with publications by Warshel and Levitt. The simplifications used then at the dawn of the age of computational structural biology were mandated by computers that were almost a billion times less cost-effective than those we use today. These same multiscale models have become increasingly popular in application that ranges from simulation of atomic protein motion, to protein folding and explanation of enzyme catalysis. In this talk I describe the origins of computational structural biology and then go on to show some of the most exciting current and future applications. The Kendrew Lecture is named in honour of LMB Nobel Laureate John Kendrew. It is one of a series of named lectures organised by the LMB to be given by eminent scientists from around the world.